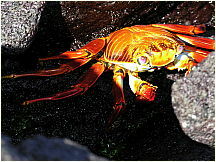 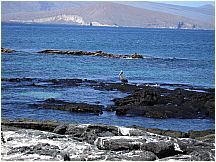 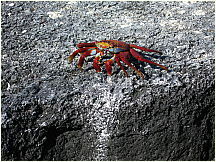 Free photos of Punta Espinosa, Isla Fernandina Island, Galapagos Islands, Ecuador. 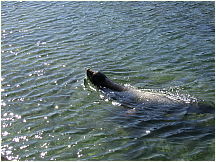 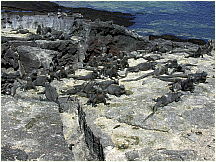 Fernandina Island is the third largest, and youngest, island of the Galápagos Islands. 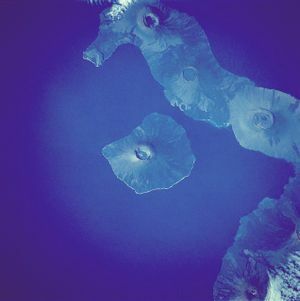 The island is an active shield volcano that last erupted on Friday, May 13, 2005. 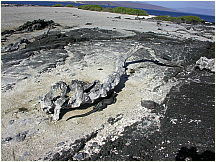 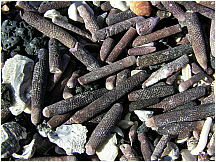 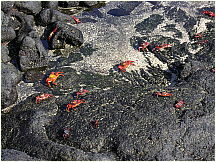 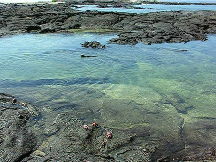 The island was formed by the Galápagos hotspot. 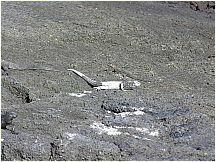 The southern flank of the volcano had a fissure eruption that generated flows, which subsided within hours. 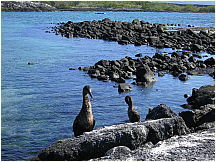 This is the youngest and westernmost island of the archipelago. 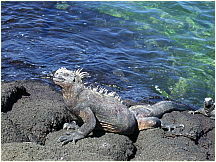 It was named in honor of King Fernando of Spain, who sponsored the voyage of Christopher Columbus. 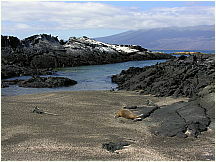 On the 14th of February 1825, while anchored in Banks Bay, Captain Benjamin Morrell recorded one of the largest eruptions in Galapagos history at Fernandina Volcano. 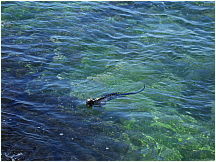 His ship escaped to safety and his account the event was preserved. 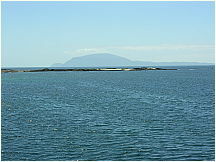 Fernandina has an area of 642 km² and a height of 1,476 meters (4,842 feet), with a summit caldera about 6.5 kms wide. 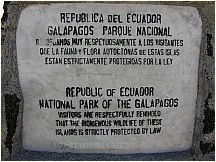 The caldera underwent a collapse in 1968, when parts of the caldera floor dropped 350 meters. 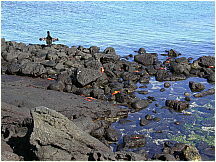 A small lake has intermittently occupied the northern caldera floor, most recently in 1988. 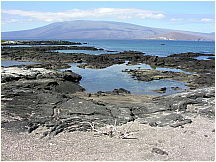 Due to its recent volcanic activity, the island does not present much plant life and it has a rather gray ambiance. 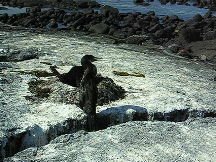 Visitors to Fernandina Island will be taken to see only the outside skirts of this crater for safety reasons. 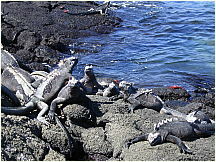 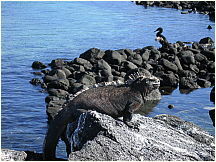 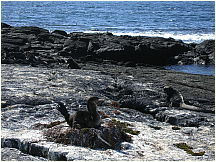 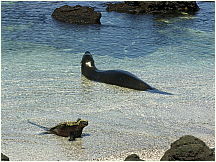 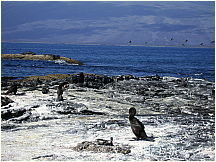 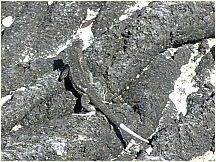 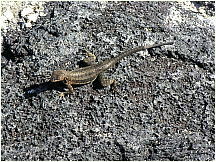 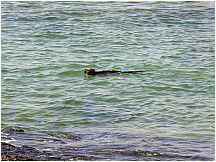 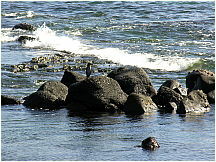 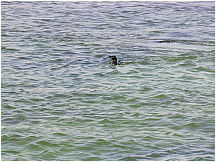 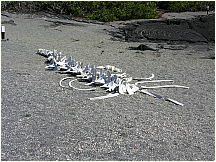 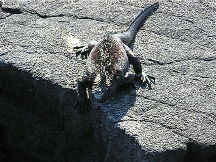 Punta Espinoza is a narrow stretch of land where hundreds of marine iguanas gather in large groups on black lava rocks. 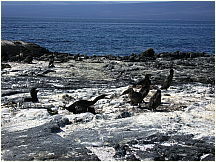 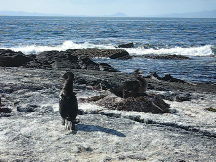 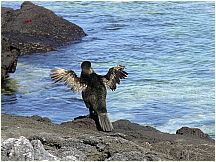 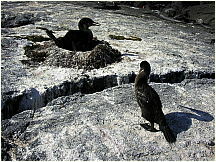 The famous Flightless Cormorant inhabits this island as well as penguins, pelicans and sea lions. 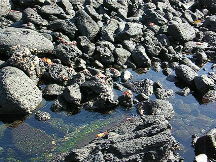 Mangrove forests also abound on the island.